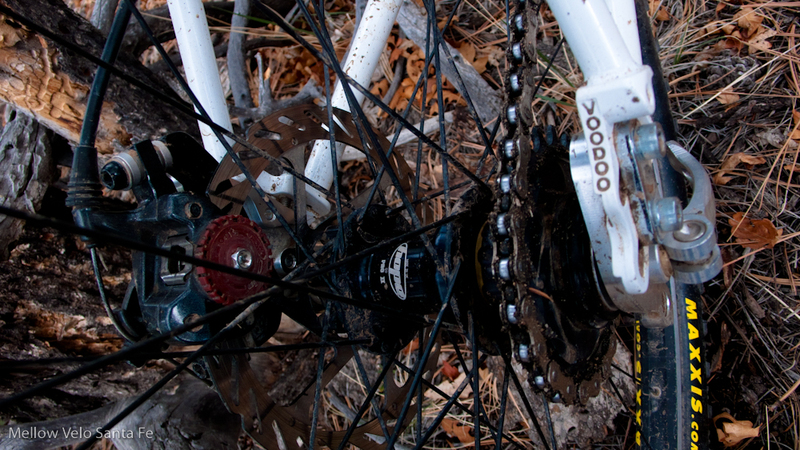 A Single-Speed 29er that our Photographer absolutely loves to ride, the VooDoo Soukri… bruiser model. 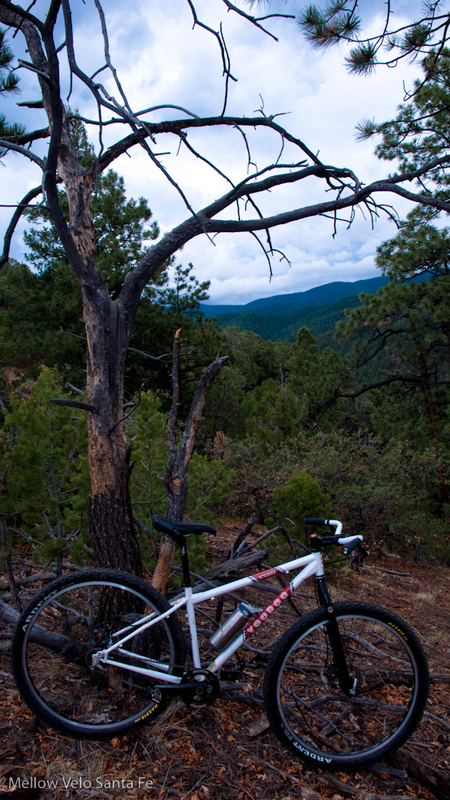 My VooDoo Soukri Single-Speed takes me to some awesome trails, this is the top of Sidewinder... Ya! The drop-outs on this Soukri are so versatile... you can even put gears on, if you swing that way. The Reynolds 631 tubing is SO forgiving to ride, in spite of what that spine graphic makes you think. 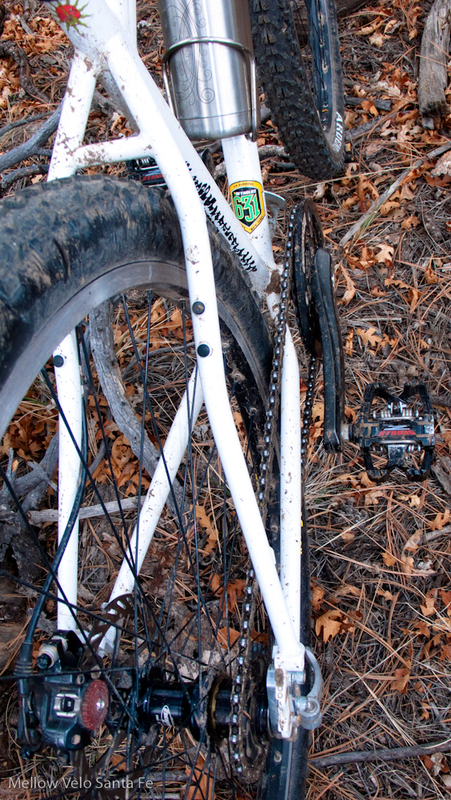 The Saint cranks and TimeSport Z-Strong pedals are stiff enough to get me up the hill... most of the time. 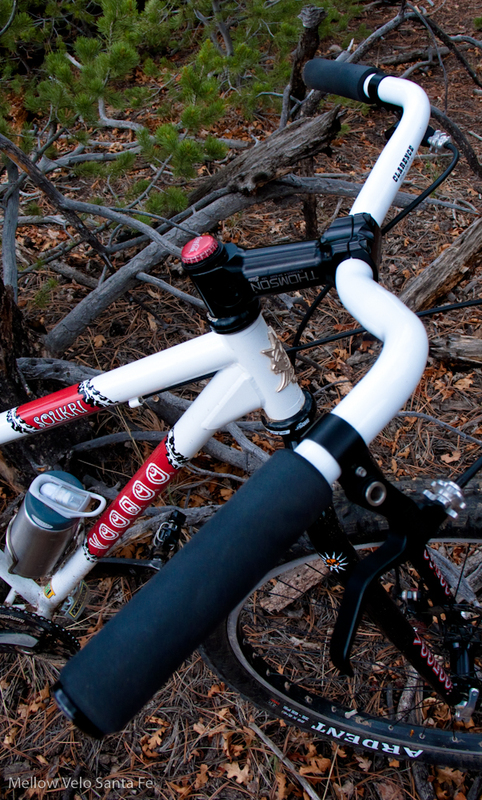 The Soma Clarence handlebar is my favorite... ESI silicone grips, Hope Bar Plugs and Paul's LOVE levers of course. The VooDoo Zombie 500 makes the head-angle nice and relaxed for me, and no toe-drag. Avid BB7 Brakes, Hope Pro II Hubs and skewers, Spot Single-Shot Spacer Kit and a Rennen (machined Alloy) 22 tooth cog round out the rear-end. This bike climbs, descends and corners like a dream! 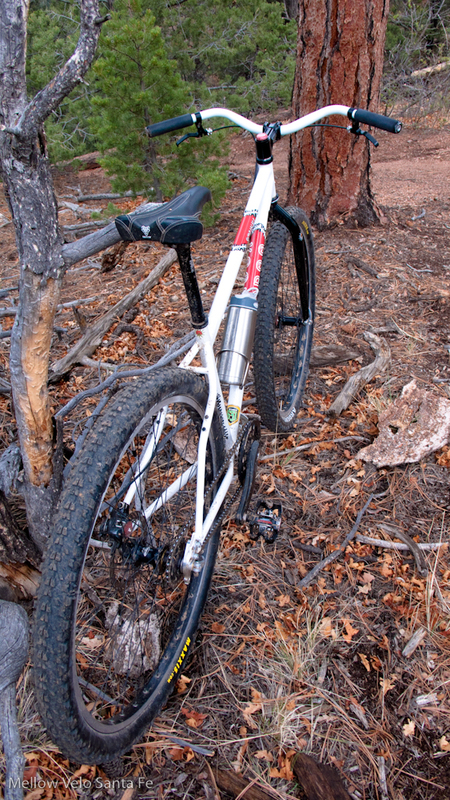 The Maxxis Ardent is a great ALL-PURPOSE BURLY tire! 2.4 up front 2.25" in back!